With mentor William Roberts, professor of anthropology, Raynaud and Mehaffey will focus their research on answering questions regarding their experience of navigating career development. 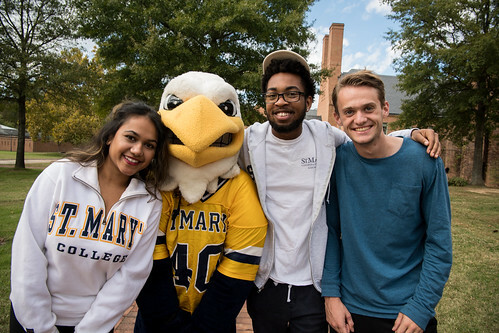 Their study also explores how building a community of practice among students and faculty at St. Mary’s College promotes the development of skills and knowledge that develop graduates’ character. Funded by the Center for Research on College-Workforce Transitions of the Wisconsin Center for Education Research at the University of Wisconsin, Madison, this program supports research projects that use ethnographic or mixed methods to address the question, how do anthropology majors prepare for life after college?